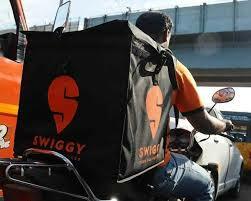 PUNE: After its operations across the city were impacted by the strike of delivery executives in multiple areas over four days, online food delivery service Swiggy flew down a team from Bengaluru to resolve the situation, further hauling a couple of delivery executives to Chatuhshringi police station with a complaint that they had launched a WhatsApp campaign to defame the company. Finally, operations resumed across Baner, Pashan, Viman Nagar, Sinhagad Road and Kothrud, while those in Shivajinagar remained off, among the areas that Mirror could check on. A source at Chatuhshringi police station shared, "Swiggy's team from Bengaluru approached our police station, saying some executives formed a WhatsApp group to demotivate others like them against the management." Sources also revealed that in order to quell the protest, some of the delivery executives leading the agitation were thrown out of the service. Maintaining a stoic approach about the current impasse, the Swiggy management refused to get into specifics in response to queries. Its statement continued to concede the disruption of its services in certain parts of the city, only saying, "It is our constant endeavour to incentivise our delivery executives over and above their fixed payment - an industry-best by itself. The incentive scheme is in alignment with the efforts of our partners on-ground, and takes various parameters into consideration, including peak hours and distance.